Huntail normally attacks with its powerful jaws. Huntail has a strong and sturdy spine which helps it to survive the high levels of water pressure of the depth of the sea where it lives. It also has powerful eyesight. Like most fully evolved Pokémon, Huntail can learn Hyper Beam and Giga Impact. Huntail are violent by nature. They use the lure on their tail to attract smaller fish, then attack with their long teeth and swallow the prey whole. 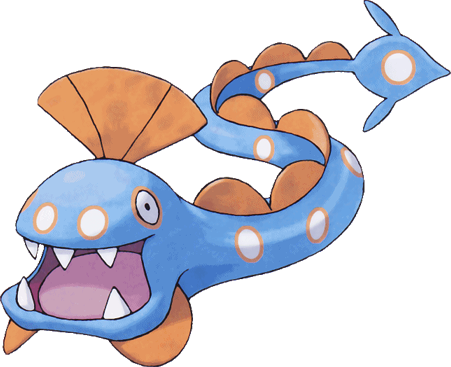 Huntail's tail resembles Gorebyss, Clamperl's other evolved form, the same way that Gorebyss's tail resembles Huntail.